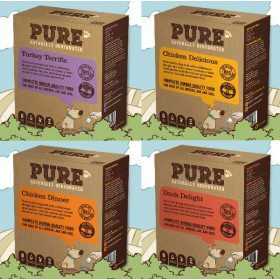 Pure Pet Food is a naturally dehydrated dog food, and one with a difference. 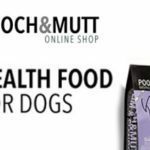 According to the blurb, their pioneering technology makes it easy to provide your dog with the natural goodness and nutrients that are found in raw and homemade food. It’s even caused a stir on a certain entrepreneurial reality TV Show (you know … the one with those Dragons in it!). 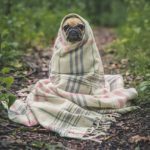 So what does all this really mean for you and your dog? It may leave you feeling a little apprehensive at the thought of what I’m going to say next, and this is by no means an endorsement to do so, but everything they make is done so in their very own human grade food facility right here in the UK, and by human grade I of course mean that it is all fit for human consumption! They use only the very best fresh and raw ingredients using a gentle dehydration method that retains all of the nutrients that are already present. 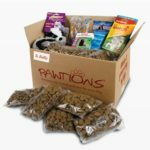 But before we go into his product any further though there is something very important to consider, and that is the fact that in order to get the best out this you’re going to need to move your dog onto this sort of product carefully and with patience, why? Because pooch’s tummy won’t be singing your praises if you don’t, that’s why! 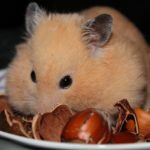 A shift in diet, a change in water type, they can do little good for the human stomach if done so carelessly and abruptly, so it’s not hard to understand why this would be the same for our four-legged friends, and these issues can last for weeks! 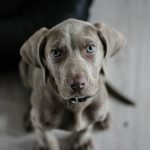 Obviously, a dehydrated diet is very beneficial when compared to alternatives, and integrating such a diet requires a gradual process, introducing a few teaspoons of the dehydrated food to your dog’s ordinary portion of wet food. Slowly integrating the new dehydrated food allows for your dog’s gut to get used to the new types of food that you intend to become a permanent fixture. So what is inside this dry food? The manufacturer of this product sources each meat from fully regulated farms, and they also have tracking systems in place to ensure that this is always the case. The creators of this product are even willing to go as far as to eat their product on national TV to prove it. What this all means is that you can rest assured that all the ingredients used are free from the well-known undesirables such as salmonella, E-coli, yeasts and moulds, not to mention any other nasties that you can think of. Is this all a gimmick, or are there any actual real benefits? 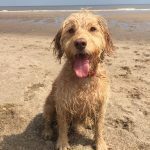 Positive feedback is high for this product, with existing customers stating that they have noticed a marked difference in their dog’s energy levels and well-being. 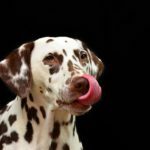 Aside from that, there is clear evidence to suggest that the diet is beneficial to a dog’s coat, which of course, in turn, means less itching, giving your dog better skin. These products from PurePetFood have a positive knock-on effect on almost every aspect of a Dog’s life, and that’s a statistical fact. So what about shelf life? It’s a major drawback with wet foot, once the tin is open that food is exposed to the air and even with one of those plastic caps that you can put on top, that wet foot is rotting from the moment you draw back that ring pull. This isn’t the case with PurePetFood, with the product itself being usable for a full 12 months. Add water though and you’re down to 48 hours, but that’s to be expected, and still a little bit better than pulling that ring pull on the canned stuff. And it’ll also go far as well, with 2kg of PurePetFood lasting the average 12.5kg dog for approximately 25 days, that’s really good going. Chicken Delicious – Composed primarily of… yeah, you guessed it, chicken. High in protein and free from grain. Perfect for highly active dogs, puppies and pregnant dogs, good also for bulking your four-legged friend up. Duck Delight – High in protein, and good for the same as above, the only difference is the flavour. 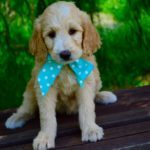 Chicken Dinner – an economical option designed best for fussy dogs who deserve the best. There’s a moderate level of protein and fat in there making it also ideal for the most senior dogs out there. Veggie Plus – A versatile mixer that can be added to current meals or used by those who already home-make their dog’s meals, ideal for sensitive dogs who require a source of protein. Turkey Terrific – perfect for senior dogs. They also do treats in the form of Meaty Sweetie: Chicken and Coconut Oil, and a starter pack made from Duck and Apple. There are also mixed recipe products available, which are all at 4kg. Their product sizes range from 500g to 4kg with prices ranging from £12.99 to £99.99 depending on what size you go for. Well worth the time to get your dog fully adjusted to, proven positive benefits from a bold company that takes pride in providing an immaculate product with a level of quality that will surely stand the test of time.